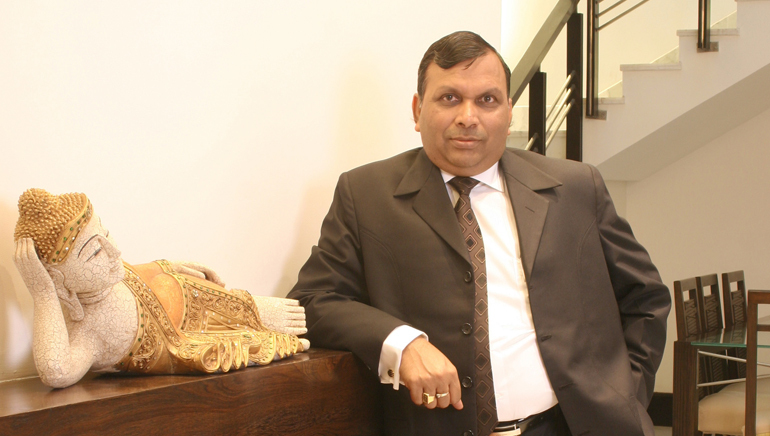 Endowed with a superlative marketing flair, Sunil Kumar Agarwal has been the force behind the strong and efficient pan-India marketing network of Kamdhenu brand. With his keen understanding of the market dynamics, he has been charting the growth of the company within the Indian steel sector. Just after completing his B.E. (Chemical) from H.B.T.I., Kanpur, Sunil Kumar Agarwal started a legendary story of continuous success. An entrepreneur to the core, Sunil Kumar Agarwal has gained a rich expertise in the production and commerce, involving steel industry for over 35 years. Sunil Kumar Agarwal has been among the chief initiators behind Kamdhenu’s foray into steel verticals such as TMT Bars, Structural steel and wirebond. He has mobilized the performing steel products manufacturing units across the country to join Kamdhenu and gain better market foothold in the steel sector. Conceptualizing and implementing the franchisee model for the exponential growth of Kamdhenu brand is the masterstroke of Sunil Kumar Agarwal. He has been the brain behind the strategy of franchisee alliance with the competent companies in the regional steel market and overseeing the company’s Expansion Division. He has contributed significantly in identifying companies and units involved in the manufacturing of TMT Bars, Structural Steel, Binding Wires, colour-coated sheets and plywood. His vision, right decisions and relentless effort helped the company to gain more than 60 Franchisee Partners in the process and emerge as a major player of Indian Steel Sector. Firming up the franchisee models, he has guided the company through impending challenges and hascapitalized on the opportunities on the way. His high adaptability to the changing domestic scenario and a keen understanding about the market trends has helped the company stand stronger. He led the way towards upgradation of the plants within units to make each of them viable for manufacturing of international-quality steel products. Dedicated to innovations and latest technology, Sunil Kumar Agarwal believes in better processes for increased production based on improved parameters. It is the result of Sunil Kumar Agarwal’s continuous hard work, dedication and his ever search for new ideas to make Kamdhenu a major brand in the steel technology that today Kamdhenu is known not only for high quality TMT bars and other products, but it has also engaged in producing innovative products under his guidance and encouragement. He has the mark of a leader who doesn’t follow the beaten track, but carves out a new path for himself and makes people believe in forging new avenues under the confidence of his leadership. Sunil Kumar Agarwal has definitely given Kamdhenu a new direction to become the leading light in its own field in the country.